Most actors are pleased to have just one role acclaimed worldwide. But with Anthony Hopkins, over the last 40 years, there’ve been so many memorable moments, so many extraordinary performances. Remember him as the schizophrenic ventriloquist, losing his mind in Magic? As kindly Dr Frederick Treves, befriending the hideously deformed John Hurt in The Elephant Man? As a fusty old CS Lewis, weeping before the wardrobe in Shadowlands, knowing there’s no magic to bring Debra Winger back? Then there were the Oscar-nominated roles, as US presidents in both Amistad and Nixon, and as a destructively repressed butler in The Remains Of The Day. And there were the heavyweight stage appearances as Macbeth and Lear, and the tortured Dr Dysart in Equus. And more, so many more. There can be no doubt that Hopkins is one of the finest screen actors ever, with an incredible emotional range. Sod’s Law dictates, then, that he should be best-known as the quiet, watchful, ultra-controlled Hannibal “The Cannibal” Lecter from Thomas Harris’s notorious trilogy, eating people’s liver with a fine Chianti. Incredibly, it was soon after he played this calculating and manipulative beast that he was knighted by the Queen. Strange world, indeed. Philip Anthony Hopkins was born on New Year’s Eve, 1937, at 77, Wern Road, Margam, near Port Talbot, South Wales. His mother was Muriel (nee Phillips, a relative of the poet William Butler Yeats) and his father Richard Arthur, a man of immense, sometimes violent energy, whose eyes would change colour when he was excited and who, Hopkins believes, eventually died from being wound too tight. Richard’s father was a self-educated man who, having trained at a bakery in Piccadilly, built a bakery business after his own father had drunk away what fortune the family had. Strong-willed and free-thinking, he was a vegetarian and a militant trades unionist. He was also very close to young Anthony, nicknaming him George (oddly, father Richard would know him as Charlie). Do you want to hire Anthony Hopkins? Directly request a quote. In 48 hours we can send you the availability of Anthony Hopkins If you would like to book Anthony Hopkins, Entertainment Booking Agency is the right place. 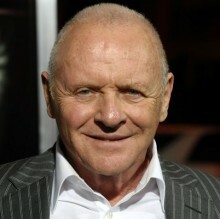 We will offer you the best price and contact the management or we directly contact Anthony Hopkins. For corporate appearances or speaking engagements you can contact our agents and the will help you true the process. Tags: hire Anthony Hopkins, Anthony Hopkins booking, book Anthony Hopkins, Anthony Hopkins appearances, find more information on booking Anthony Hopkins for appearances, Anthony Hopkins speaking engagements, Anthony Hopkins endorsements/spokesperson, Anthony Hopkins appearance fees, Anthony Hopkins booking agency contact info, biography of Anthony Hopkins, Contact an artist booking talent agent find a speakers bureau that can book Anthony Hopkins, speaker booking agency for Anthony Hopkins, Anthony Hopkins booking agency, Anthony Hopkins booking for corporate event. EBA is one of the biggest entertainment booking agencies in the World. We book hundreds of celebrities, artist, athletes and speakers in a year. Important to know is that we are not claiming to be the management of Anthony Hopkins. We are not the official agent for Anthony Hopkins. Companies from around the globe book these artists and speakers true our company be course we have one of the biggest networks and we always have direct contact with the artist or the management. We help you to find the right celebrities for your corporate of private events. Please contact one of our agents to get free advice and we will help to get the world-famous artist on your party.